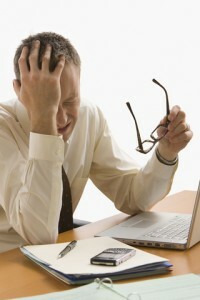 As a virtual business owner or virtual team leader, do you ever feel completely frustrated with your team? Do you sometimes feel that you’re just not in tune with them? They aren’t listening to you and never seem to be available to you. Perhaps you feel because they can’t physically see you, then they don’t even see you as their virtual leader or manager. I am based in beautiful Australia down under. Many of our clients operate from the other side of the world. When it comes to making appointments with international business partners or virtual team members there needs to be some “give and take” or compromise by all parties as far as setting a virtual meeting time. Depending on where your international team members are located, someone on the team may have to make special arrangements to meet very early or very late. BUT >>> what if YOU don’t show or arrive early. That can get pretty annoying for virtual team members. Imagine waiting for a client to show up for a 10pm appointment, only to have them show up late or not show up at all. It’s just plain rude and shows a real lack of respect. If you want virtual team members to respect you, then remember, that a virtual meeting is still a meeting and in many cases team members have made special arrangements to attend at the designated time. So SHOW UP, be present and don’t be late! Delegating successfully in the virtual world comes with a few little extra tricks. Don’t be tempted to pass off the responsibility to complete a project, without checking on progress as you would in the “real world”. With the challenge of time zones and scattered offices, you could fall into the “out of sight, out of mind” trap. Many times I’ve seen leaders of virtual teams, or virtual business owner’s delegate, without outlining clear expectations, without mention of a time-frame and without checking-in on progress. In the typical working world you may be available to answer queries, provide feedback and input just by being in the office. You probably have set times, or scheduled meetings when this can be done. So do it in the Virtual World. Just because you can’t see your hardworking team right in front of your eyes doesn’t mean that you can remain absent. In fact, you need to put forth even MORE effort to be present, so your team can identify with you as their leader. Somebody who really cares about them and the outcomes that are being produced. I’m going to put this real simply. Just because you’ve told one team member something, doesn’t mean your entire virtual team are aware. Just because you’ve told one virtual team member you’re going on an overseas business trip, doesn’t mean your entire virtual team knows. In the typical office environment, if the Director is planning to leave on an extended business trip often they’ll only need to mention it once. In just a short time, the entire office knows you’re heading off and they are preparing their projects for your departure. The thing is in a virtual environment, with team members operating out of different time zones, unless your team are chatting online about office gossip you can’t be sure the message will get out. If you’re entire team needs to know something important, either hold an online meeting, send out a message OR assign your PA/VA to “spread the news”. Whatever method is the best suited to the message. Don’t assume your entire team is in the information pipeline. For more virtual team tips to help boost your virtual team morale check out these other great articles!